Raspberry Pi 3 Model B+ is now available. It is featuring a 1.4GHz 64-bit quad-core CPU, dual-band 802.11ac wireless LAN, faster Ethernet, Power-over-Ethernet, and much more. Raspberry Pi 3 Model B+ is improved version of Raspberry Pi 3 Model B which is released 2 years ago. It is first model with 802.11ac Wifi, Gigabit Ethernet, PXE Ethernet boot support. 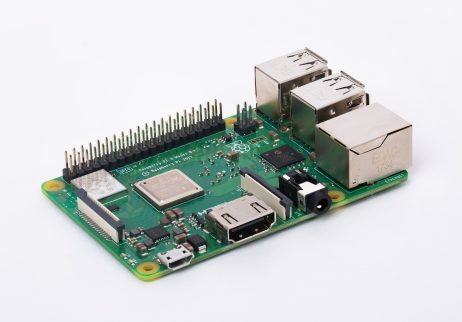 Its network performance is better than Raspberry Pi 3 Model B.
Raspberry Pi 3 Model B+ is now on sales for US$35 which is same as Raspberry Pi 3 Model B.